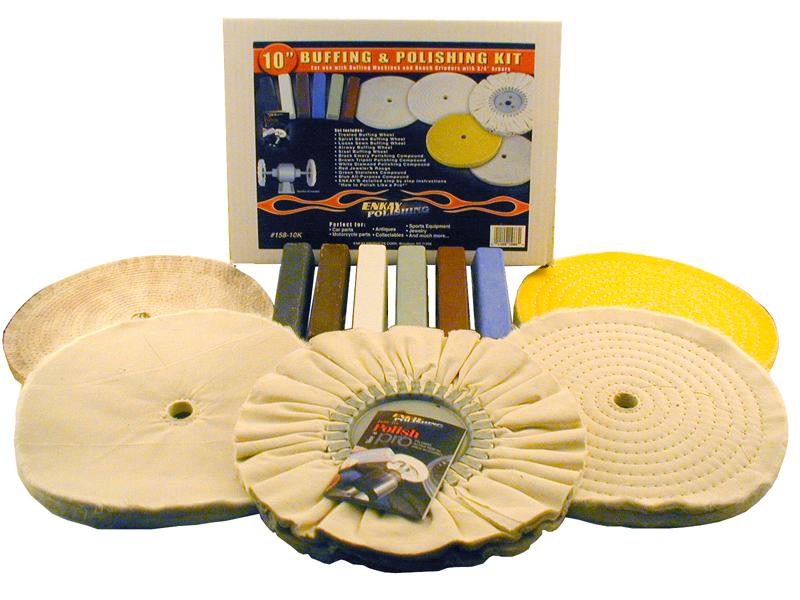 For use with 10" buffing machines with 3/4" arbors. 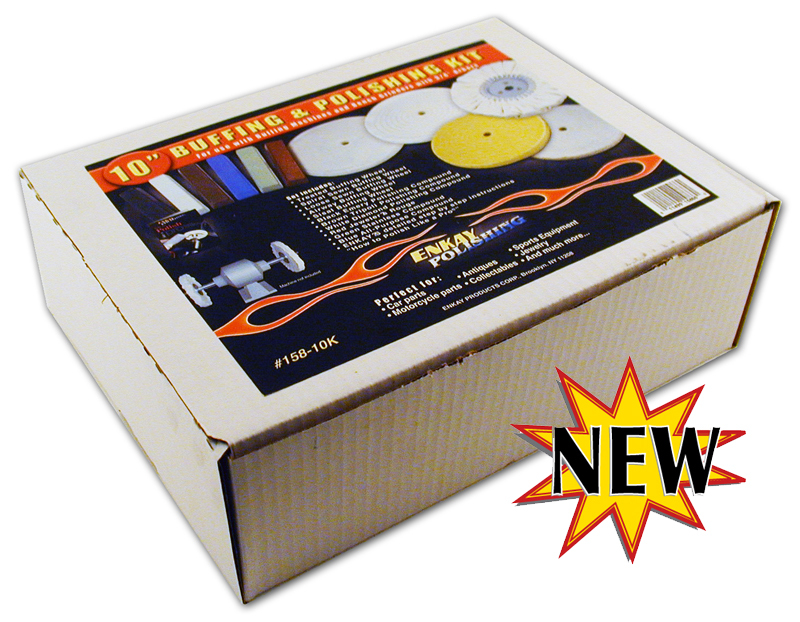 This all inclusive kit will polish most solid materials including aluminum, steel, stainless steel, brass, copper, gold, silver, wood, plastics, and more. 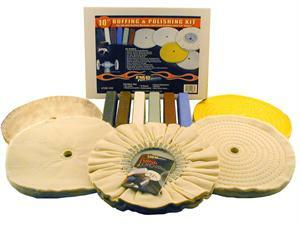 Perfect solution for any shop using a 10" buffing machine. Enkay's step by step instruction guide and polishing compound chart "How to Polish Like a Pro"